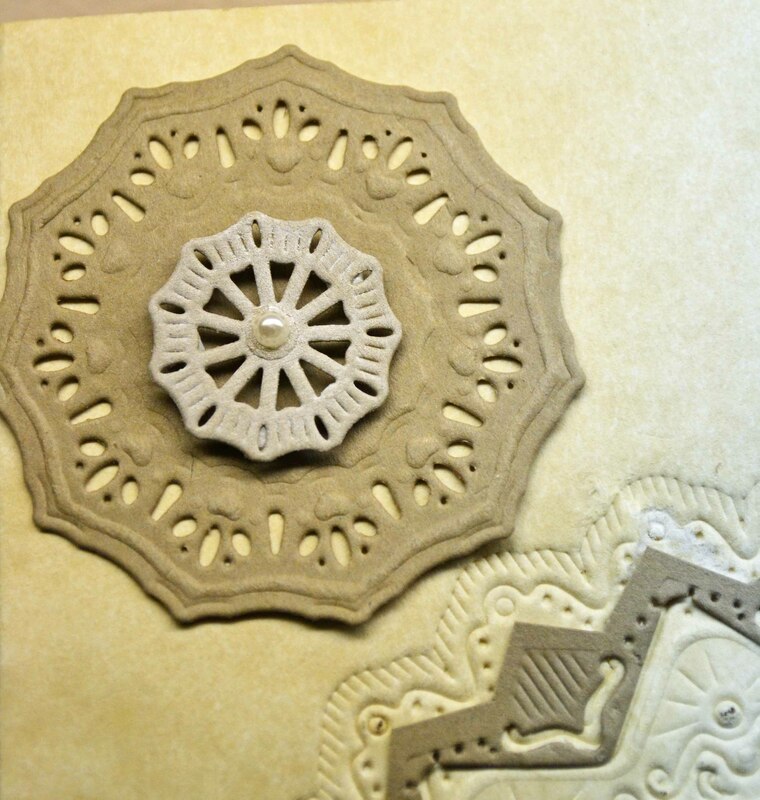 I have become obsessed with die cutting lately. And who wouldn’t be with all the cool shapes available? 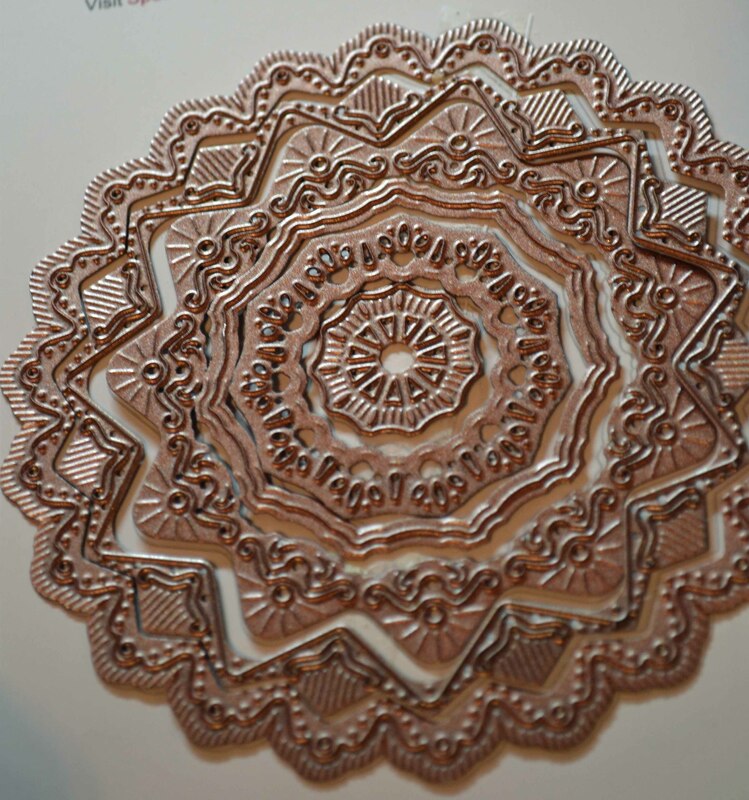 So today’s Fabulous Find is a stack of dies from Spellbinders, which recently won accolades at the Craft and Hobby Association winter show — and for good reason. The new Imperial Gold Collection (they cut, emboss, stencil and deboss) and 3D M-Bossabilities™ Folders (deep, deep embossing)are such fun … but I digress. Looks pretty good, even though this was my “practice” card, made while just playing around to see what it would do! I’ll be back next week with more delicious dies. 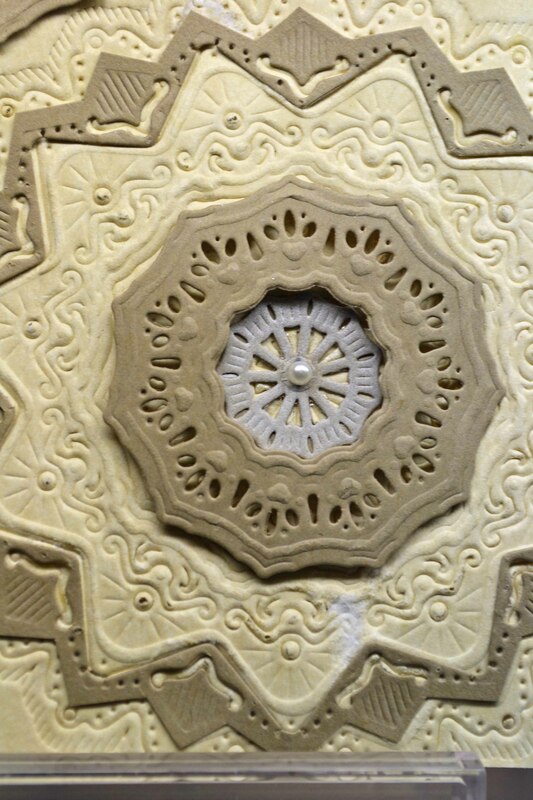 And watch for my CHA Hot List article coming soon on the Crafts ‘n things website. Thanks so much for stopping by! Flipin’ for Flipits on Valentine’s Day! Wishing you much love on Valentine’s Day. Thanks for stopping by. 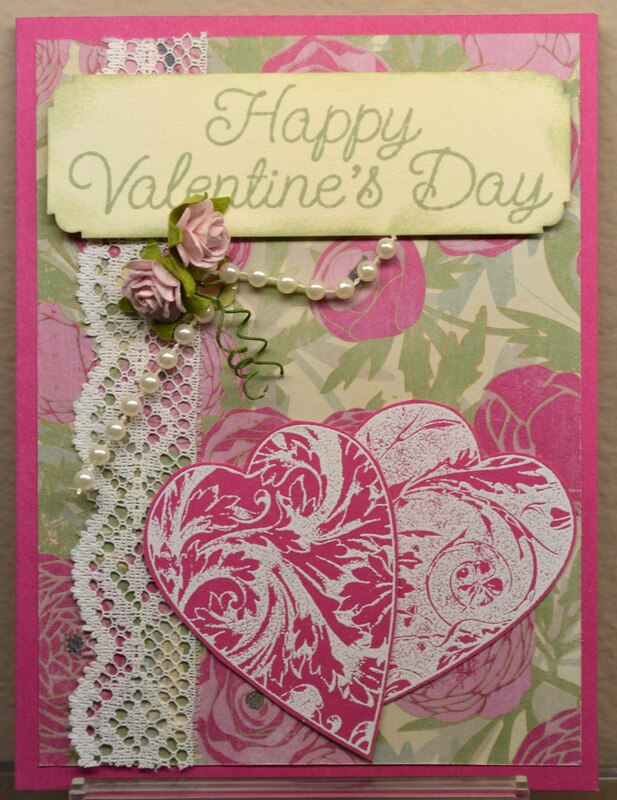 A day away from Valentine’s Day … I’m having fun using several of the new items shown at the Craft & Hobby show. This card was so random. 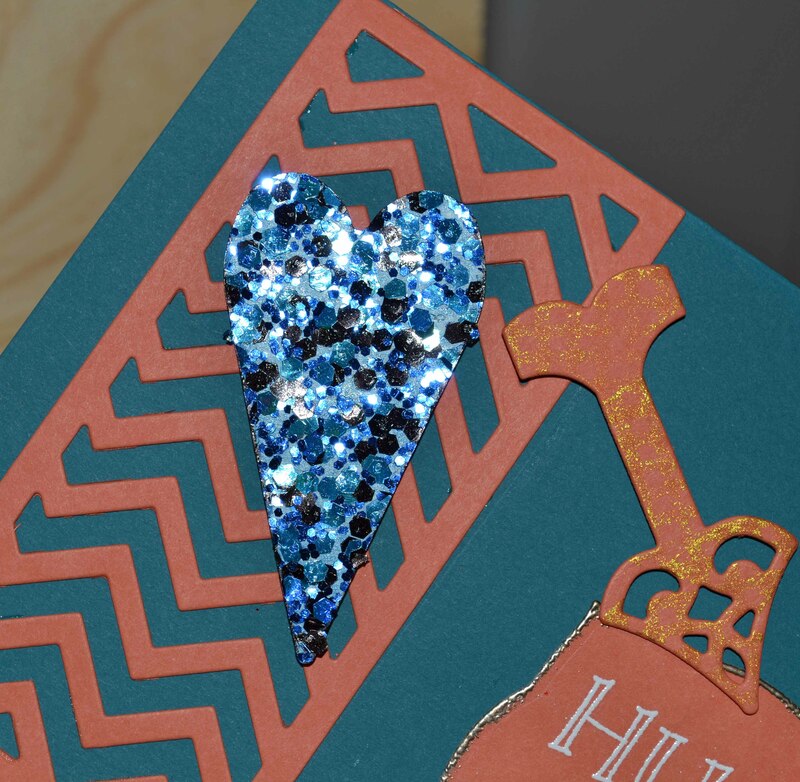 It began because I was playing with some new Thinlet dies from Sizzix… you know how that goes. 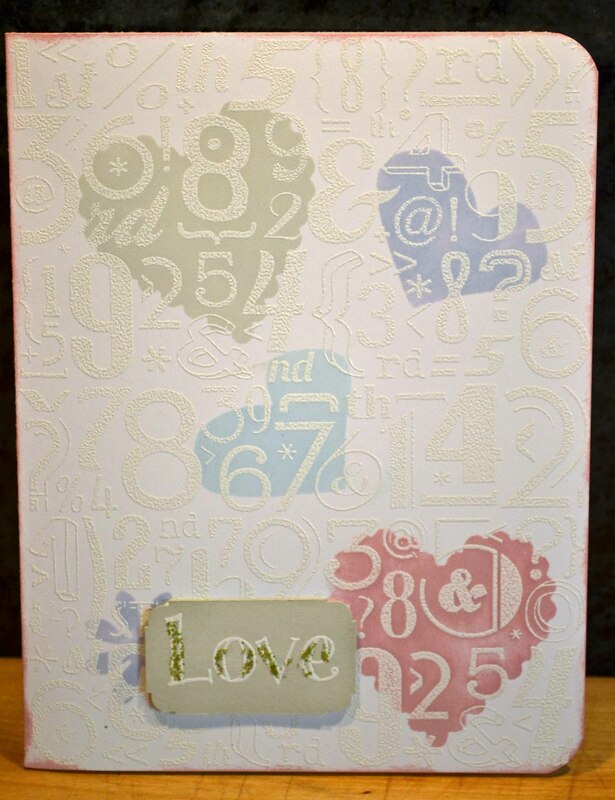 The sentiment (Hero Arts) was white embossed, then cut using a Spellbinders Labels die. 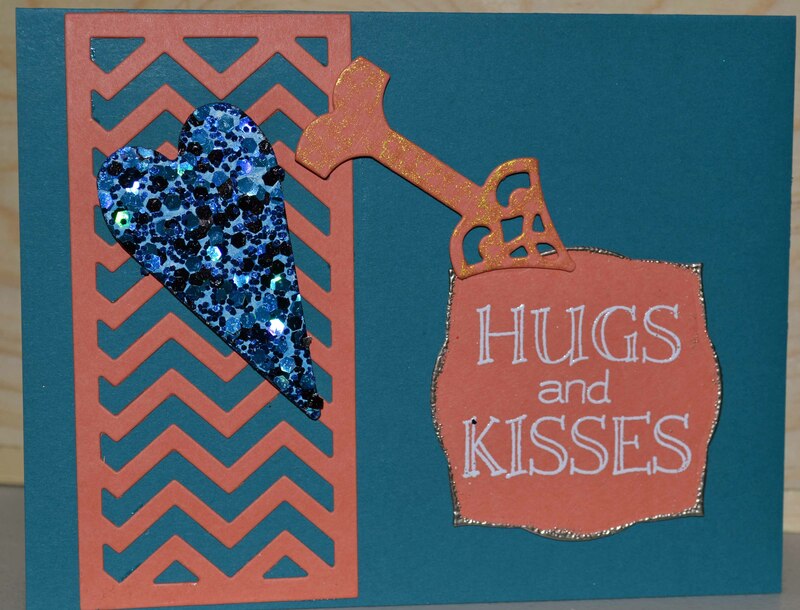 I edged it in blue, but didn’t like that so added Stampendous! Pearl Lustre Moonstone powder. The arrow (from the same Sizzix set) was dabbed with Tsukineko gold Delicata ink. 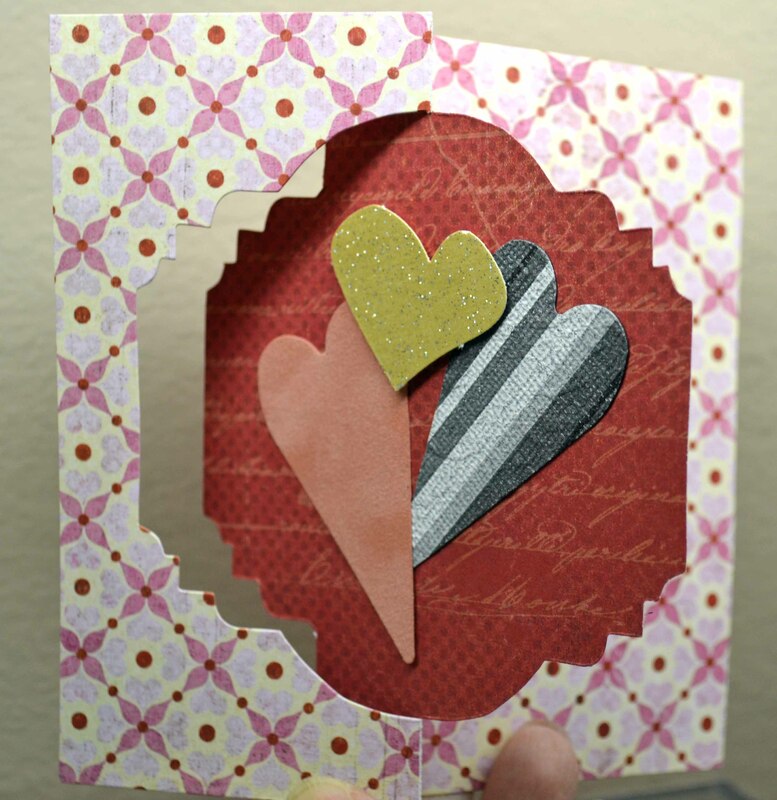 The red heart is from another new American Crafts glitter stock (this one corrugated, yum! ); the bottom heart was stamped with an old Hero Arts heart and sprinkled with Judikins Aegean Silver glitter (love the look of that.) The gold heart is from scrap paper. 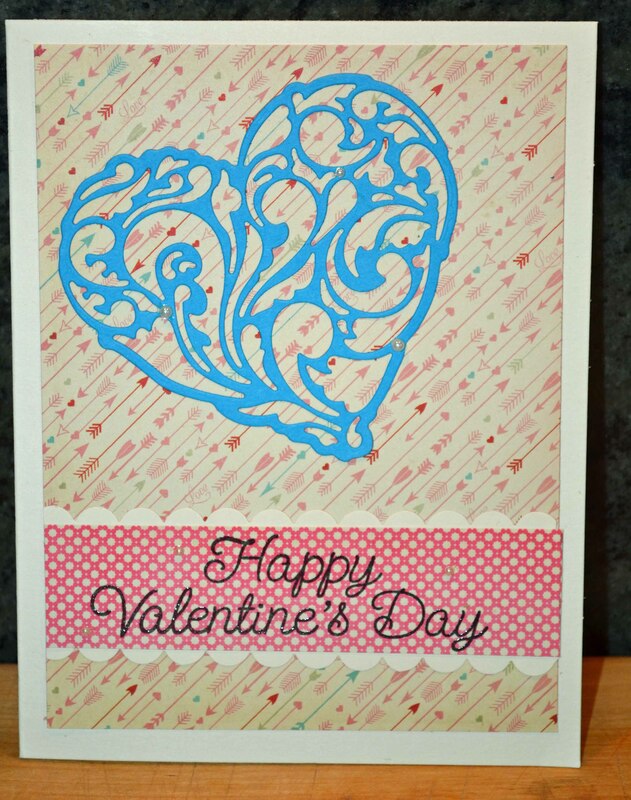 The die cut hearts used that old Sizzix die. 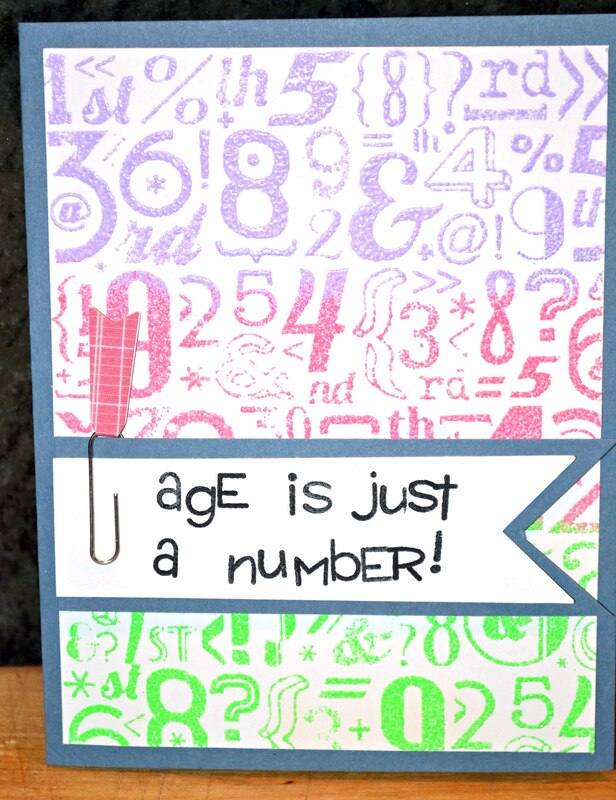 Sentiment from Paper Source, cut using a Spellbinders Labels 8 die; ribbon from Creative Imagination. 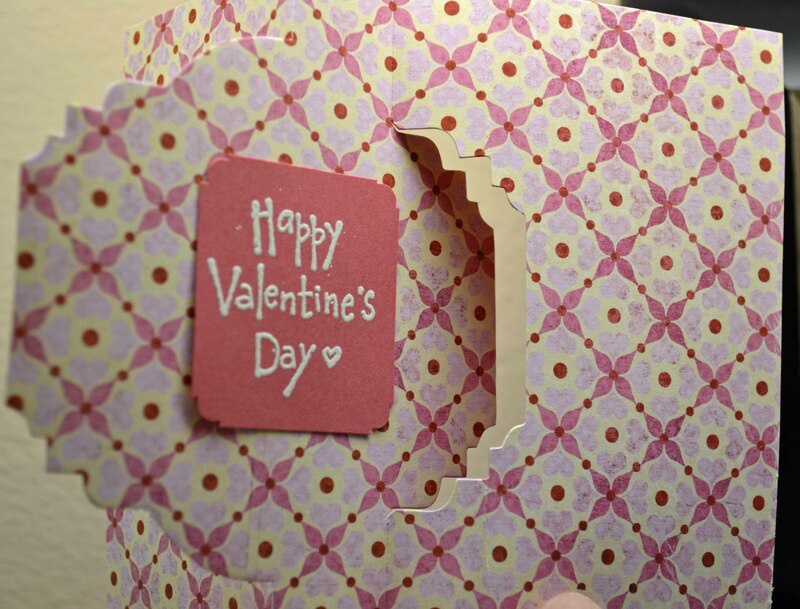 I’ll have one more Valentine card tomorrow, also featuring a new, unique die. Thanks for stopping by. *disclaimer — several of these items were provided by the manufacturer. Paper from Bazzill Basics; hearts (embossed with white powder) from Elusive Images; sentiment (stamped in Soft Leaf) by Hero Arts; embellishments are random pieces from my stash. This card actually came together rather quickly. The resist technique is the same I used for a previous post (white emboss text, then using a reverse mask to ink over the text). 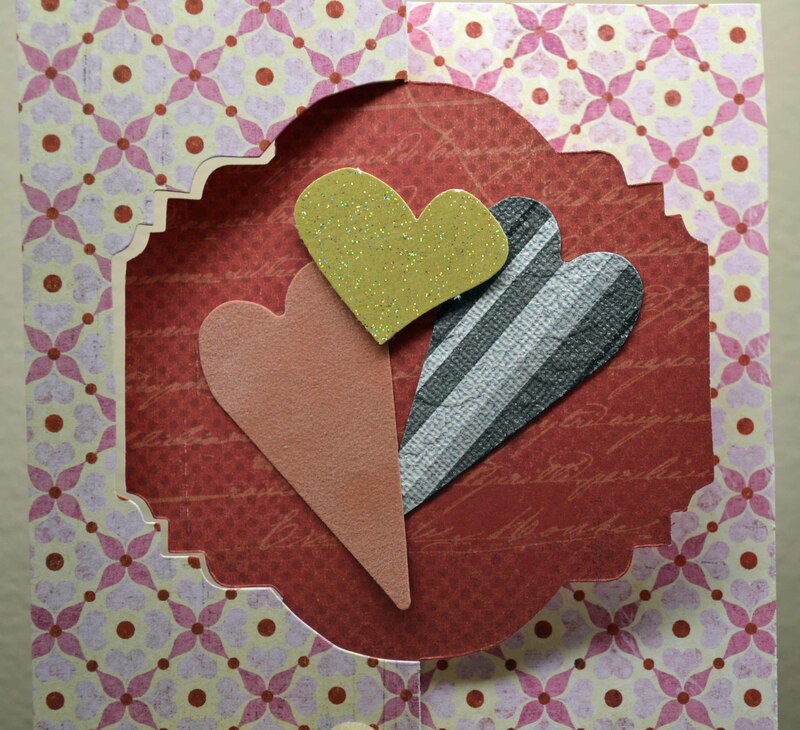 Bazzill Basics paper; Hero Arts text and sentiment stamps; Fiskars heart punches; ColorBox chalk ink. 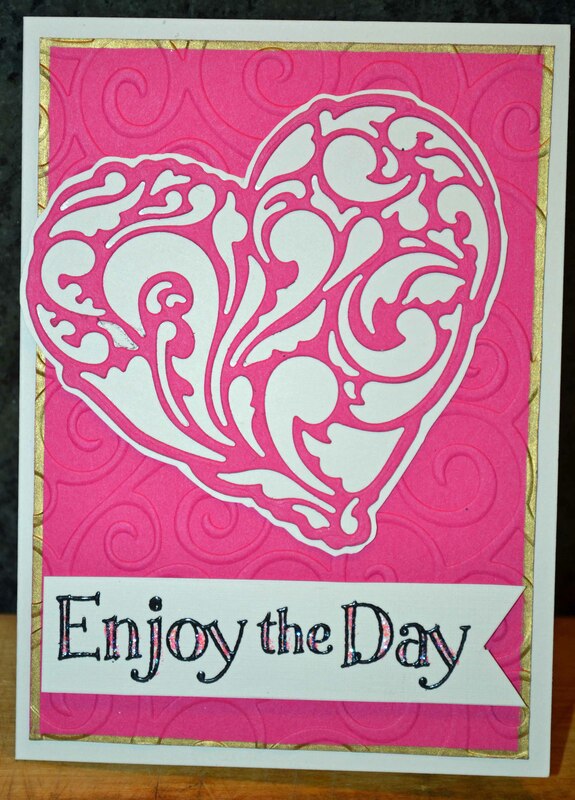 heart punches to create a stencil, then inked over with Hero Arts soft inks. 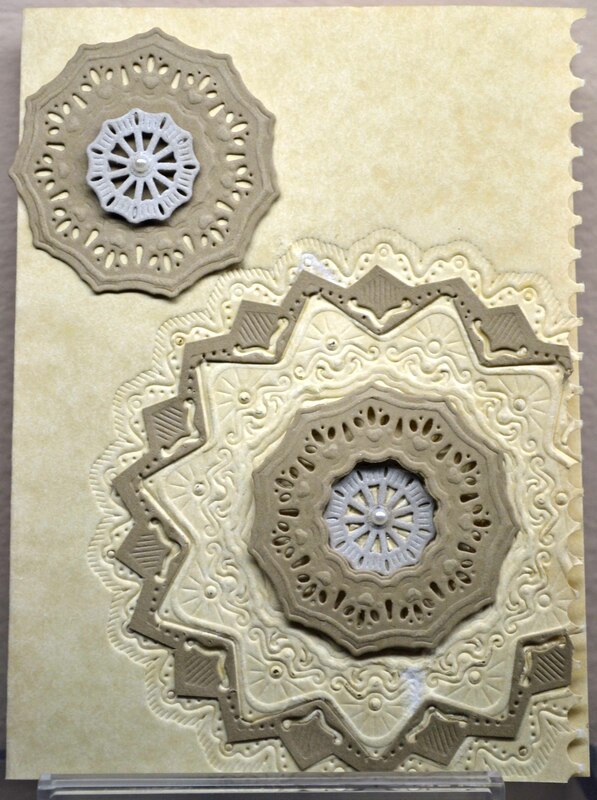 The paper is from BasicGrey and the scallop border punch is from Stampin’ Up!. 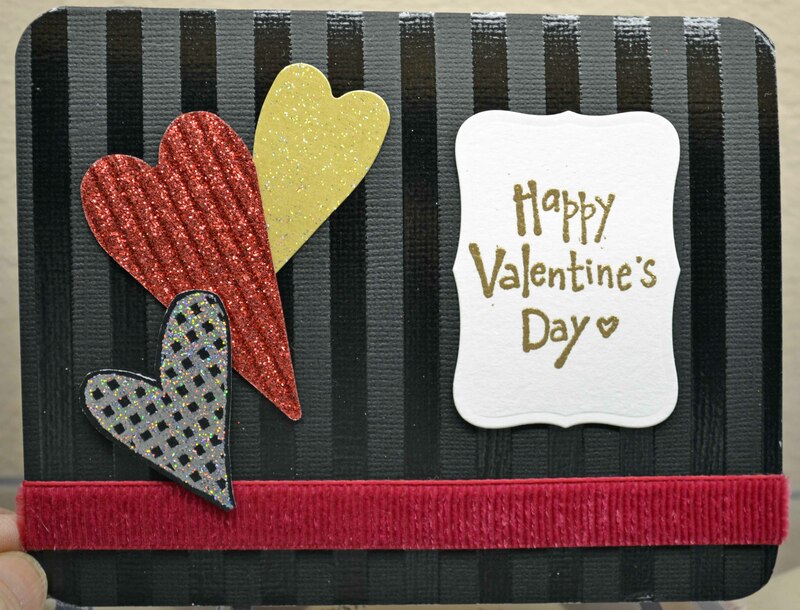 We still have a few days left before Valentine’s Day, so stay tuned for more cards.